Anytime I listen to Colbie Caillat’s music, I just feel the summer sunshine radiate from inside me, which is something I need given another huge snow storm is blowing through here (#arcticlife). Ever since her song “Bubbly” came out in 2007, I’ve been a fan of her music and the way her voice can warm your soul. “Bubbly” is one of the few songs that can make my day better, and make me realize that love can actually exist. I know that sounds cynical, but I hope one day to find someone who means to me what these lyrics describe, but I’m skeptical if that will ever happen. For Caillat, “Bubbly” has been her most successful song to date, peaking at number five on the Billboard Hot 100, and being certified platinum (selling over a million copies). She has won two Grammys, one for her collaboration with Jason Mraz for their song “Lucky” and the other as a featured artist on Taylor Swift’s Fearless. If you haven’t heard of Colbie Caillat (which would be weird if you haven’t), you should definitely check out her music. I personally think her album Coco is her best (it features “Bubbly”), but her others are just as perfect. Now, I’m pretty sure the person cut and pasted in the curses, but this could be the original recording. If it is the latter, I really don’t want to know how they got it. Personally, I kind of prefer the clean/original version just because I think the chorus pops more by omitting the curse, it kind of gives it an extra passive aggressive punch or edge. In concert, he sang the unedited version (in case you were wondering). Currently, Ed Sheeran is nominated for three Grammy awards, including Album of the Year! Now, I know this song, for some reason, but I have no idea who sings it or what it’s called. 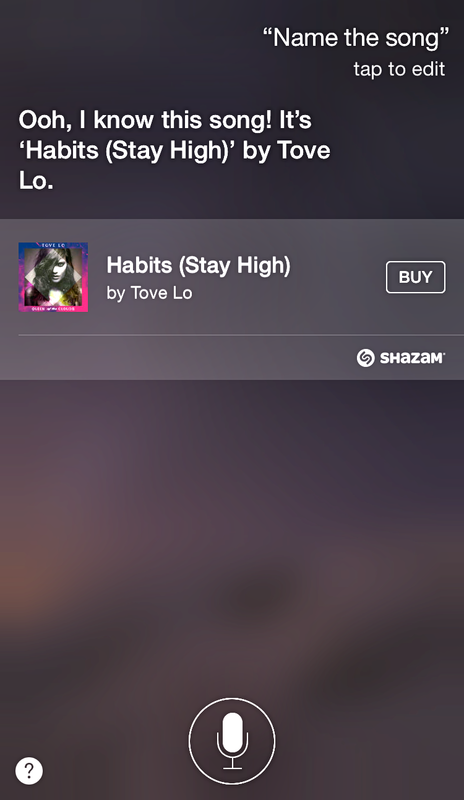 So I googled some of the lyrics I could make out from the singer (circumstances didn’t allow me to use that cool little Siri trick). So I found out the song is called “Angel of the Morning” and was written by Chip Taylor. The problem, I have absolutely no idea who was the original performer. I mean, apparently it was a hit single for, but not limiting to, Merrilee Rush, Juice Newton, Nina Simone, P.P. Arnold, Olivia Newton-John, The Pretenders, Dusty Springfield, Mary Mason, Melba Montgomery, Billie Davis, and like a bagillion others. I was going to embed more versions, but I think you get the idea: this is a popular song that everyone apparently needed to sing… I do have to say I think my favorite is Juice Newton’s version and I think it’s hers that I’m remembering. She just hits the powerful chorus the best, in my opinion. I may be a little behind on the eight ball, but if you have Siri, there’s a cool trick I figured out. 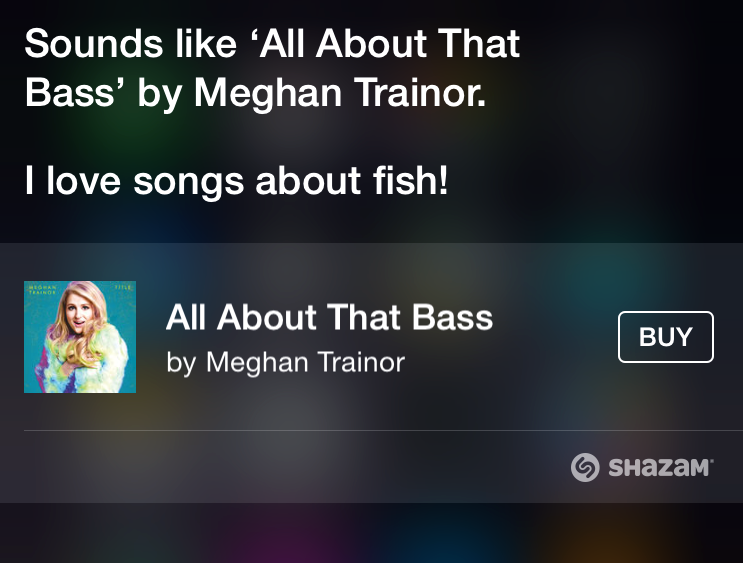 If you’re listening to a song and you want to know what the name of the song is or the artist, ask Siri “name the song,” and she will say something like “listening,” and she’ll listen to the song and tell you what song it is! I may have spent the last ten minutes playing around with it, and I couldn’t stump Siri!